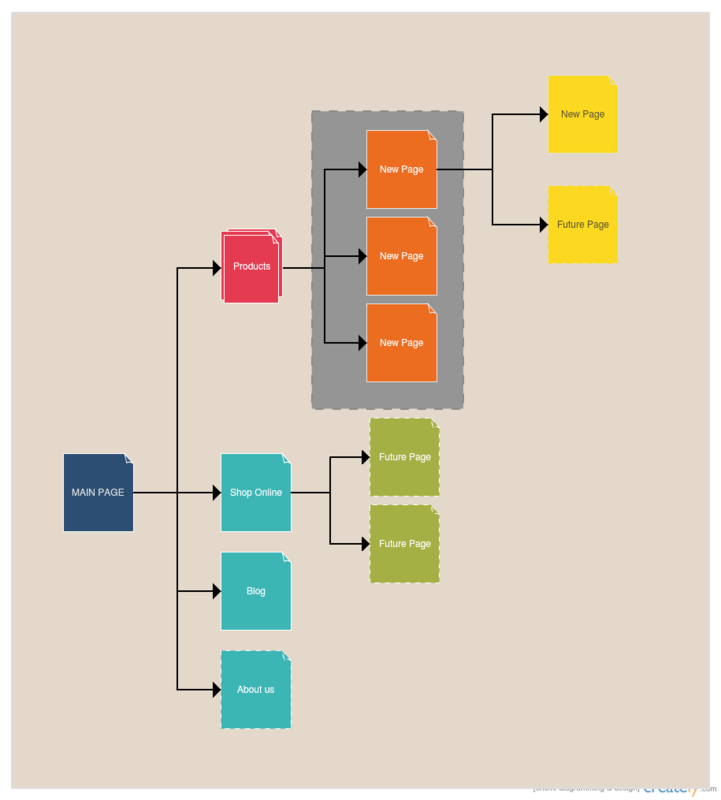 A sitemap is a tool that can be used to visualize the structure of a website. While it lists the web pages or the content of a website, it helps you identify the information your website should consist of, remove redundant or duplicate content and make sure it has easy navigation and is user-friendly. Basically a sitemap is a tool that can be used to plan a website, its design as well as its development. Listed below are some sitemap templates that will help you start on your website’s sitemap quickly. These templates are made using the professionally designed sitemap icons available on Creately. Simply click the image to edit the template online or export it directly. Presented below is a basic sitemap for a content website. There are beautifully designed icons for cluster pages, future pages, locked pages etc. available in the app. Click the image to start editing it right away. This sitemap template provides an overview of the content of Creately Desktop’s web page. As you can see, pages have been color coded for quick identification. You can easily change the colors of the icons and even add a different background. Click the template to start editing. 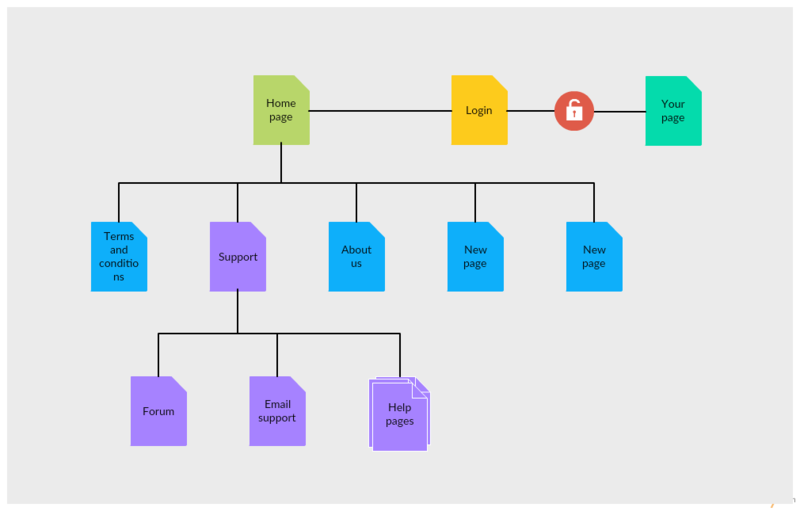 Shown below is a website page navigation sitemap template with upcoming future pages, dynamic pages as well as pages with external links. All these icons are available in the app, and you can add the next shape you want with a single click using the context toolbar. Click the image to open the sitemap in the editor. 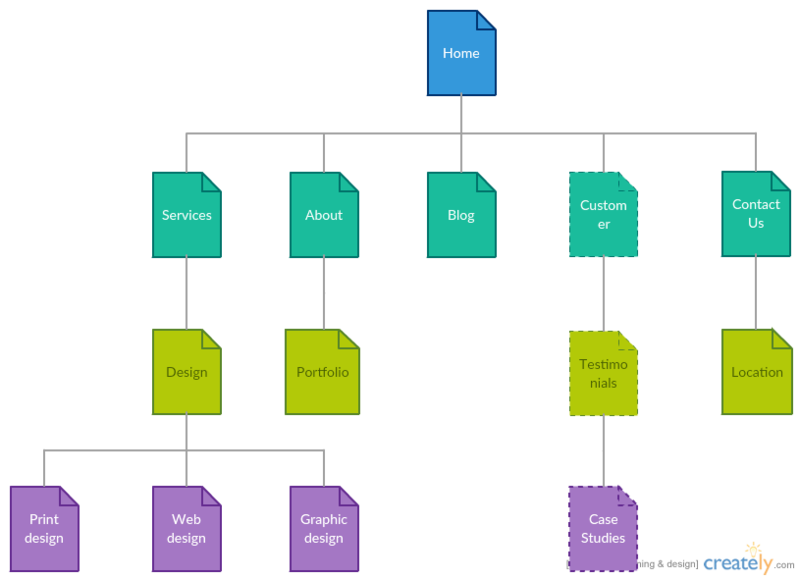 This is an organized conceptual sitemap example template for a marketing company. 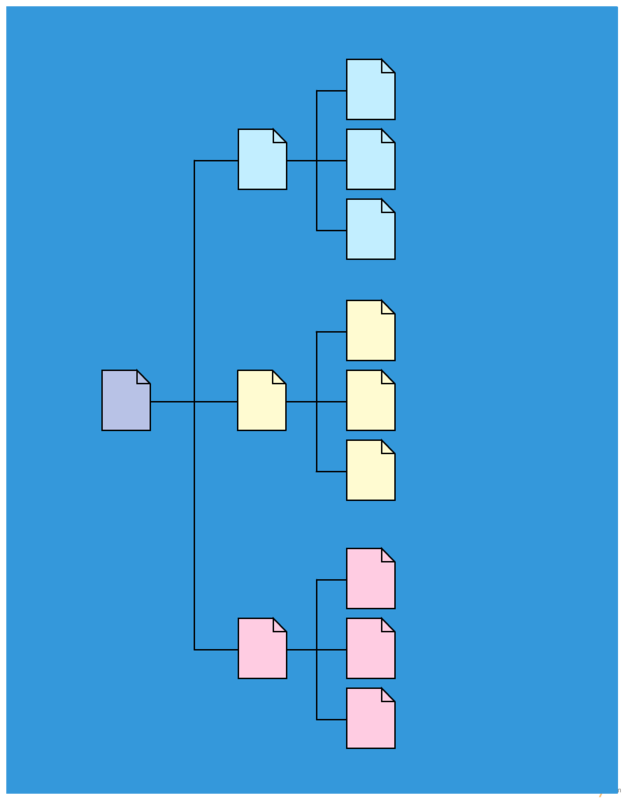 Like in the Creately Desktop sitemap, this one is also color coded, which makes it easier to identify the different pages and which makes the sitemap much more appealing. Click the image to edit it according to your needs or use it as a template. Every website usually has a products and services web page to promote and offer information on the products or the services they offer to the visitors. The following sitemap is of such a web page. The rich media shape/icon of the Home Page indicates that the page includes elements such as streaming videos. Click the template to modify it online. 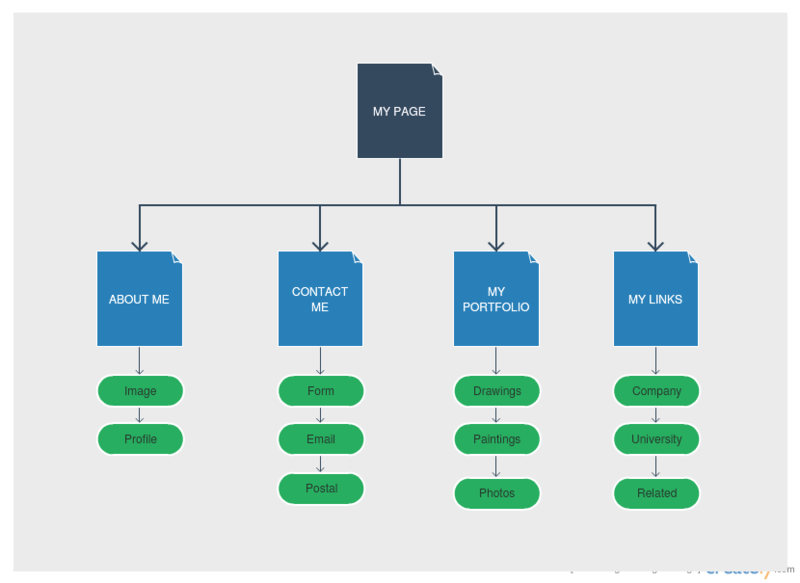 Here is a website structure of a personal page or a personal blog page. 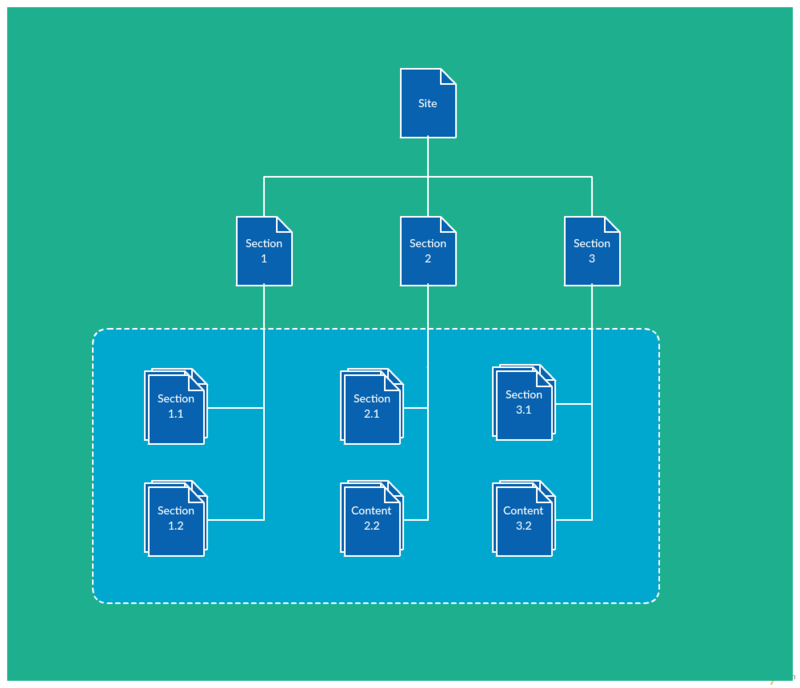 Unlike the other sitemap templates, this sitemap includes content boxes that are used to indicate information on each page. Click on the image to open it in the editor, so you can make the necessary changes. Shown below is a site map template of a website architecture with a security login. The security indicator represents secure login which requires those who haven’t logged in to login before they access their account page. Click the image to start editing the template. This template shows a sitemap structure with external links. An external link is used to indicate a link to another external website. Here, one of the Solutions to Streamlining Video contains an external website. Click the image to modify the template online. Here is the sitemap structure of the Creately website. It shows the existing pages as well as the future pages that belong to the Examples’ page cluster. 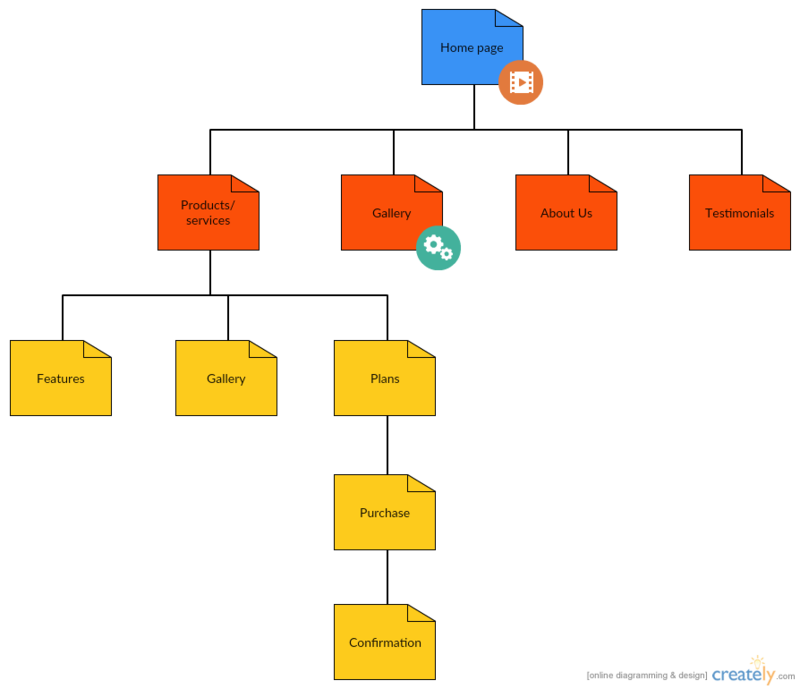 Use this sitemap to start planning your own website’s site map structure. 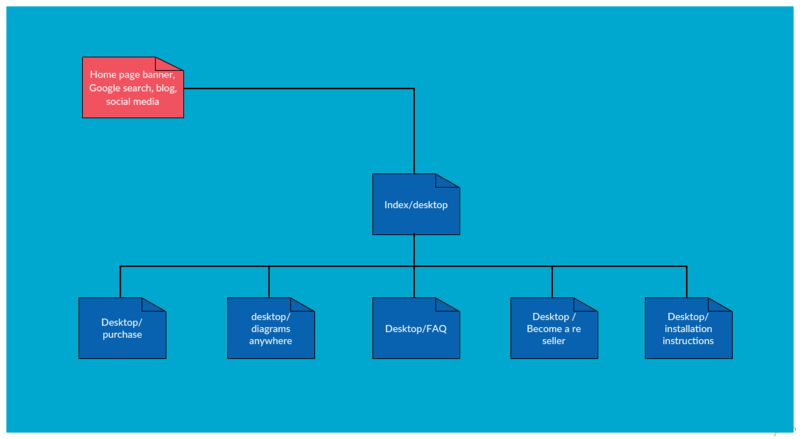 The following vertical sitemap template shows a website navigation structure. The main page has been divided into 4 landing pages and the ‘Products’ landing page branches out to several new pages. Click the image to make changes according to your requirements. 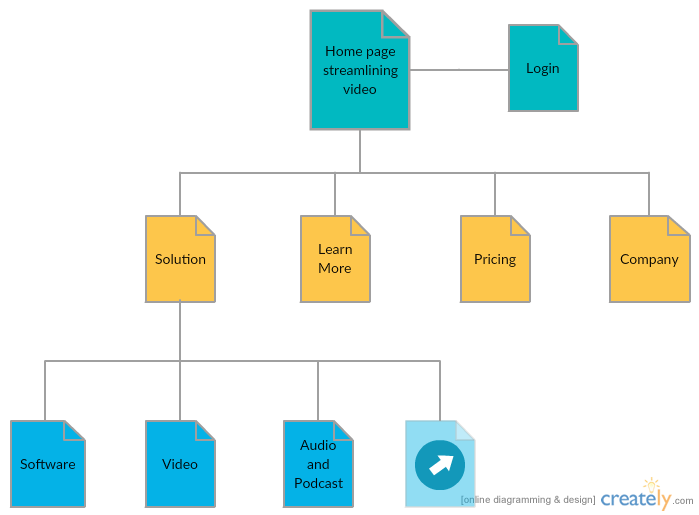 Here is a simple ready-to-use vertical sitemap template for you to start your sitemap right away. Click the image to include information and choose a different color theme as you prefer. Compiled above are sitemap templates that are readily available as Creately examples in our diagramming community. These are professionally designed and would give you an excellent starting point to begin a new sitemap of your own. Do check the sitemap templates provided by our Creately users as well. Also keep in mind to check our community from time to time, for we update it with new templates every now and then.